Seth, Mila, Alex, Seth and Mike. The Family Guy cast at Just For Laughs. 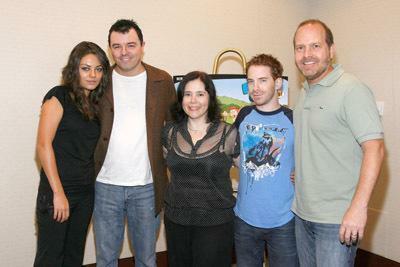 Wallpaper and background images in the Seth MacFarlane club tagged: seth macfarlane seth green mila kunis just for laughs family guy alex borstein mike henry. This Seth MacFarlane photo might contain green beret, special forces, and elite soldier.